Live at Bankokuhaku Hall, Osaka Expo, Japan 1970. 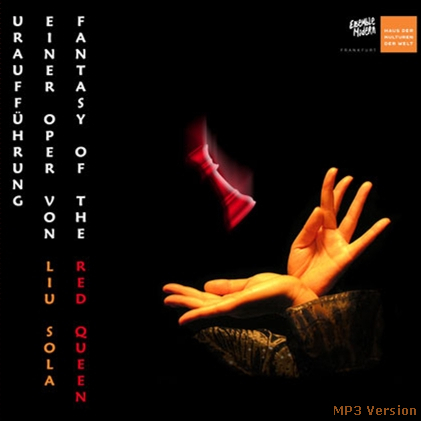 Released in 2005. "Basically, I'm not a performer. I've never been comfortable onstage, really. I am a singer and now, hopefully, a songwriter. I love that. I feel as if I'm finally expressing myself in the way I want to. So the Apple days were like being in kindergarten, really, just falling over a lot and the whole world witnessing all my spelling mistakes." - talking to Goldmine, in 1992. Manipulation is the name of the game in pop music, just like in politics. So when a 17-year-old fresh out of school signs to Apple Records, the Beatles label, expectations touched the heavens. Mary Hopkin made hit after hit for the Beatles label. But as the years peeled away, the awkward teen has revealed she was not unaware of her ridiculous school girl image that made it difficult for her to tackle different types of songs. For instance, Hopkin claims she was shanghaied into doing the Eurovision Song Contest and was appalled that she had to sing Knock Knock Who's There? When she left Apple, Hopkin joined Mickie Most and was ultra-sensitive to uncool songs to the extent that she rejected two great songs. "I'll always regret turning down 'You've Got A Friend'. Peter [Asher] sent me a tape, giving me the first opportunity of recording it, and I turned it down. I could have kicked myself. And I also turned down Elton John's 'Your Song'. I had a demo of that but turned it down because I thought one line was too corny. 'How wonderful life is when you're in the world'. After what I'd been doing with Mickie Most I just couldn't face lyrics like that. Of course, when Elton did it, it sounded marvellous, not corny at all. That's how much I'd lost confidence in my own capabilities by the time of Mickie Most: I'd turn down anything remotely 'sweet'." - talking to Record Collector, Aug 1988. Hopkin since then has only recorded songs when in the mood. She sang an anti-war song released during England's war in the Falklands. In 2006, Hopkin recorded a Christmas song that was distributed through her website. Currently, she lives in the south of France. She never tours anymore, doesn't give interviews or pose for publicity pictures. Which makes every live recording of hers a treasure. Here is a rare recording of a concert in Japan. Recorded at the Osaka Expo in 1970, it was at the height of her popularity and many of her hits are performed. A couple of awkward interviews are included with a Japanese musician and a female journalist who asks her how she keeps her hair so beautiful. Perhaps if Mary Hopkin had success with her Earth Song/Ocean Song second album, she would have been the folk singer/songwriter she wanted to be. Just listen to her take of Paul McCartney's Yesterday followed by John's In My Life both dripping with bittersweet regret. As it stands she will be remembered as the little girl who sang sweet and bubbly pop tunes with singalong choruses. This recording is pretty good from such a long time ago. It sounds like a radio broadcast. Thankfully the Japanese were never afraid of Western pop culture and invited every important and not-so-important act to their shores, unlike the little chickens who continue to rule $heep City. The Franny bootleg is actually the TV Special that was broadcast on Japanese networks on July 12, 1970. Altogether, Hopkin played seven shows in Osaka from July 4-7. You can view pictures taken of her visit to Japan at this site. The automatic English translation is computer-derived. 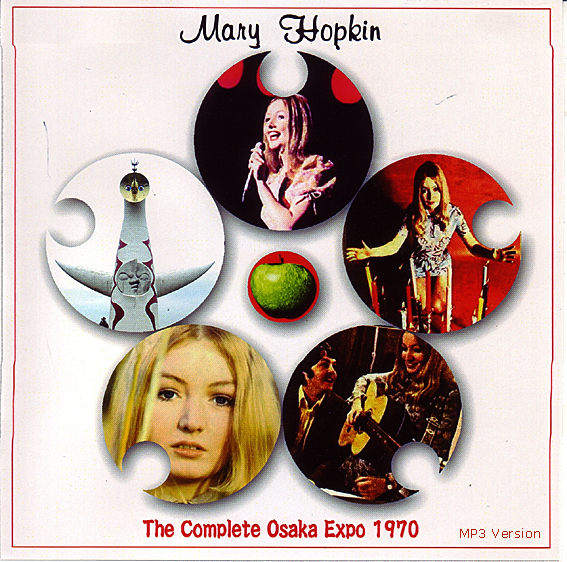 Mary Hopkin has gone indie with her latest release in May 2007, Valentine, on Mary Hopkin Music. The songs she sings come from fellow singer-songwriters Bruce Cockburn, Emmitt Rhodes, and even John Kongos. There are also three Hopkin originals. These songs were found in her personal archives and have never been released before. They were originally recorded between 1972 and 1980. Also at her website, you can order her first official live album Live at the Royal Festival Hall 1972. Order both here.